Valentine’s Day 2018 is heating up, and florists across the country are preparing for a busy week ahead of February 14th. The economy is doing well, and consumers are experiencing a nice uptick in discretionary income. 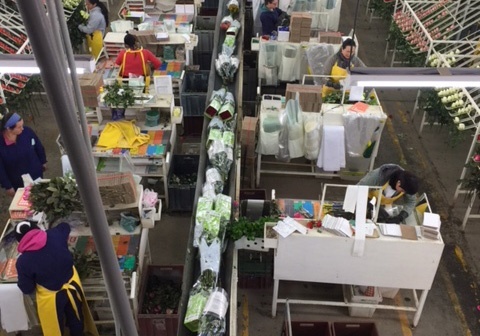 Expectations are high for heavy Valentine’s floral purchases, but what can floral businesses expect in terms of overall quality and availability? 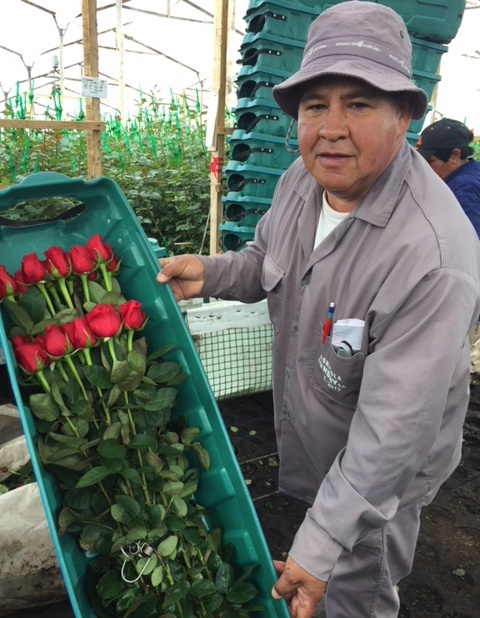 Our farm liaison in South America has given us a report on weather conditions, crop notes and postharvest processes to better inform florists on what to expect ahead of receiving their flowers. Cloudy and chilly conditions in January, with lots of rain and intermittent sunshine has helped growers yield incredibly high-quality roses and other varieties, just in time for Valentine’s Day. Wet conditions do present challenges in keeping diseases (like Botrytis) from flourishing, but quality growers like those screened by Kennicott/Nordlie’s MarketFresh™ program adhere to strict practices to keep such maladies at bay. Avoid heartbreak on Valentine’s Day by sticking to a network of flower farms who take the proper steps to curtail hazards on the front-end of the growing process. Most of the farms Diaz visited expect the timing of their harvest to occur imminently, ensuring ideal timing for seamless delivery ahead of Valentine’s Day. Production-wise, a few farms have switched from using soil to hydroponics, a practice that allows for more control over the many stages of the growing process. The hydroponic method, in short, uses a customized solution (instead of soil) to deliver nutrients to the plants. This allows absorption of fertilizer at a constant, calibrated rate - giving a more consistent look and quality across all flowers, as opposed to those grown in soil. Both methods, if properly executed, produce quality roses, but hydroponic production further perfects nature’s process with more “even” results and timing. 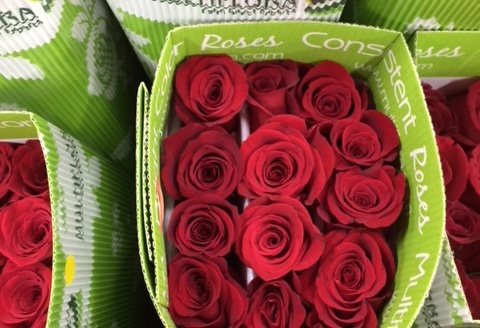 Once your Valentine’s roses are cut, they are packaged in specially-designed boxes to avoid damages in transit. They’re immediately introduced to a closely-monitored cold-chain until they arrive at your local distribution center. From the staging process, through their journey to your shop, your Valentine’s Day flowers are never kept at a temperature deviating from 37.4°F to 39.2°F. Most MarketFresh™ farms’ roses adhere to a minimum head size 0.5 cm larger than the standard required by Kennicott/Nordlie (one that is already a step-up from the typical flowers available on the market.) This boost in size will allow floral designers (and their customers) to enjoy bigger, better roses for their beloved Valentine’s Day creations this year. Kennicott/Nordlie offers this (and other) special program(s) for its qualified customers as a means to order premium flowers each week from verified growers around the world. Offers are shared via email each Wednesday with a 2-day ordering window. Delivery occurs approximately 10 days later. Amazing value on roses, hydrangeas, callas and many more varieties are shared via the MarketFresh™ specials – all representing the very best products available industrywide. We add value to the importing and distribution process by leveraging our strong relationships with the world’s best growers, bringing premium flowers to market at the lowest possible price. Kennicott/Nordlie serves 10 states from 16 distribution centers, and are experts in cold-chain logistics, direct-store delivery, and post-harvest processing. For more information on receiving weekly MarketFresh™ specials, contact us today, or sign up to become an approved customer. All approved customers will automatically start receiving weekly MarketFresh™ and other emailed flower specials after being issued their verified account number.